I regularly track and study receptions of black subject matter, so I could hardly ignore the expansive conversation taking place related to this movie Django Unchained. So far, I've read over 60 reviews/interviews, and countless (Lord knows too many) comments on facebook and twitter. Eventually, I'm going to try to pinpoint some trends. For now though, I wanted to observe how and why the movie benefited from a kind of perfect media storm in terms of attention. In short, that storm included 5 key components. 1. Targeted marketing (i.e. ComicCon); 2. the prominence of the film's director Quentin Tarantino; 3. prominent, well-known cast; 4. placement of prominent critique (i.e. Spike Lee); 5. Timing -- specifically a Christmas/Tuesday national release. First, I suspect whoever did the marketing for the film deserves considerable credit. The publicity machine for the movie first did a major press splash back in June 2012 (seven months before the film's release), then the main actors and director Quentin Tarantino appeared together at ComicCon in July and did a panel on the movie and showed clips. Hollywood folks and marketers know that ComicCon can break and make movies. 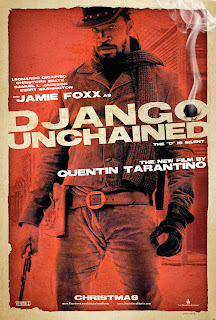 By most accounts, Django Unchained passed at that gathering, and was thus building buzz for its December release. In early December, the reviews and interviews started to appear. The reviews were largely positive, and the movie benefited from the buzz and as a kind of alternative to the more serious film Lincoln. 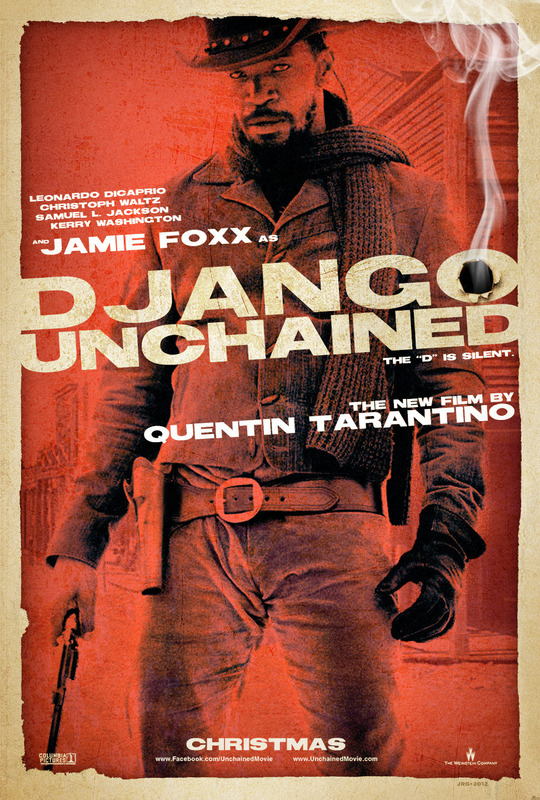 In addition, Django Unchained benefited as a Tarantino film. He's considered "controversial" in some quarters, but he's also developed a devout, strong following over the years. Thus, reviewers and some fans read this movie as an extension with a difference of his previous one Inglorious Basterds. Just to be clear, the idea that Tarantino -- the controversial cultural figure, the white guy who covers black subjects and has characters uttering the N-word -- was key to the movie's box office success as well as to the strong negative feelings that some people expressed toward the film. Whatever the case, there was a pronounced Tarantino effect surrounding the movie that shaped some interest, some revulsion, and considerable conversation. Still, major movies with slavery as a focus or even a backdrop and with black people as a focus are somewhat rare and are thus likely to drive interest from several different quarters. The movie also had an all-star, multi-racial cast: Jamie Foxx, Leonardo DiCaprio, Christoph Waltz, Kerry Washington and Samuel L. Jackson. Placing those actors together in just about any movie will bring large numbers of people out. Although Tarantino and his supporters might disagree, one of the most notable, unexpected gifts that they received on the eve of the movie's release came in the form of a critique of the film from Spike Lee. According to Lee in a tweet, "American Slavery Was Not A Sergio Leone Spaghetti Western. It Was A Holocaust. My Ancestors Are Slaves. Stolen From Africa.I Will Honor Them." Lee's critique became a central talking-point for journalists, reviewers, and general viewers and non-viewers on social media sites. Lee's resistance to the movie helped build intrigue among many who were on the fence; for Lee's supporters, his comment became a rallying cry. Either way, it helped spark discussion. Finally, the film was released on Christmas Day, and the vacation days made it possible for people such as academics who might not normally participate so actively in a conversation during the regular academic year time to really go back and forth. That Christmas was on Tuesday helped--from a conversation, if not financial standpoint. More people tend to go to the movies on weekends, but folks are more willing to engage in online conversation about politics (including culture) on web-sites and social media during the course of the week rather than on weekends. Hence, the talk on Django Unchained went on and on, like some fierce perfect storm. Spike Lee's comments on "Django Unchained" inspired me to suggest that he should make a very dignified film about his great grandfather William James Edwards, who established Snow Hill Institute in 1893, and Edwards's great grandparents, Mike and Phoebe. The germ for Lee's filmscript would be Fallen Prince: William James Edwards, Black Education, and the Quest for Afro-American Nationality (1990)by Donald P. Stone.